Forget being boring. 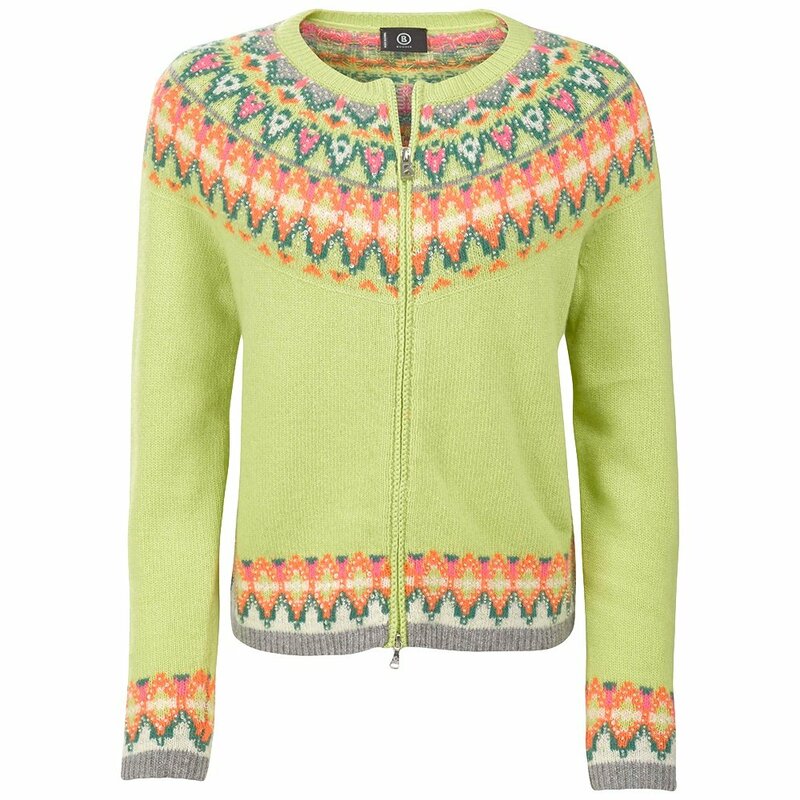 The Bogner Suzie Full Zip Sweater bright design will make sure you never blend in again. A super-soft wool and cashmere blend makes the Suzie Sweater both totally luxurious, and very appropriate for summer. The button-up style makes it easy to pull on, instantly freshening up your outfit.